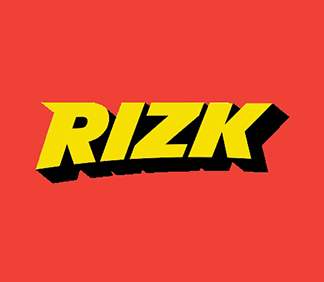 Rizk has only been operating online since 2016, so is still considered to be a new casino site. It has adopted a mascot of a superhero for brand recognition. The site is nicely set out and easy to navigate, which most new players find welcoming. As a full-service online casino, Rizk offers a full selection of games, comprised of slots and table games. They also have recently added a sports section. Rizk has put more focus on their selection of slot games, compared to the table games. The slots vary, in the number of lines to be played, and the betting range. So, there is something for everyone who is a slot enthusiast. This casino also wanted to make sure that players do not have to leave the site if they want to enjoy some slot jackpot play. There are about twenty jackpot slots here, to keep the excitement flowing. Although the selection of table games is smaller than the slot choices, there are still some excellent choices here. They are comprised of blackjack, Heads Up Poker, and the Super Wheel. For those who want to play video poker, there are several choices. The live casino offering is most exciting and exceeds what is being offered in the traditional table section. Here at the Rizk live casino, there are categories of roulette, blackjack, High Stakes, and baccarat. Within each of these individual categories, there are several choices for different versions of the games. There are undoubtedly a lot of eager players who enjoy using Rizk in its mobile version. They do so through the casino’s online Android app. The quality is excellent, and mobile players get to play the android version of the games. The download for the app is available at the main casino. What makes the Rizk Casino a popular one, is the choice of casino software providers that they have chosen to use for their game selection. These are NetEnt, Microgaming, Play’N Go, NYX Gaming, Betsoft, and Quickspin. Rizk has made sure that they offer plenty of deposit options, so nobody is going to be disappointed. The choices for those who register at Rizk are ecoPayz, Mastercard, Paysafe card and debit cards. These same finance methods can be used for withdrawals. Both deposits and withdrawals have minimums and maximums, determined by which method is chosen. Rizk only allows players from Great Britain to use pound sterling. Any other player must deposit using their own currency, or can deposit with US dollars. Rizk is an international online casino site that supports English, Finnish, Norwegian, Swedish, and German languages. This casino provides support through email for queries and concerns. Rizk is governed by the laws of a Malta license. Also, this casino is operating under a license issued by the UK Gambling Commission. For those online casino players that want a dedicated casino site to play at, Rizk is a good choice. It has plenty of games to fit the needs of most online casino enthusiasts. It may be a little short on the table games, but they have made up for this in the live play section.